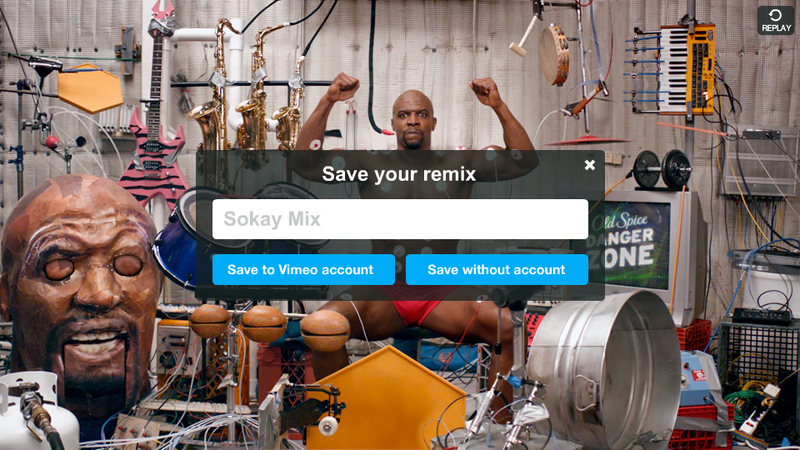 Make your own remix of the Terry Crews Muscle Music commercial within the Vimeo player. I came in towards the end for polish and defining the front-end save process. FWA Site of the Day & FWA Site of the Month winner. Helped define the saving process of passing XML from the front-end to the backend, waiting for remixed videos to encode, then authenticating the Vimeo user and directing the video to their account. Lead Frontend Development by Ulrich Sinn. Lead Backend Voodoo Wizardry by Tyler Kocheran.